Adam Craig Dale (born 30 December 1968, in Ivanhoe, Victoria) is a former Australian cricketer who played in 2 Tests and 30 ODIs from 1997 to 2000. He played in first-class and List A cricket for Queensland Bulls and in club cricket for North Melbourne Cricket Club, Heidelberg Cricket Club, Northcote Cricket Club, Old Paradians Cricket Club and Research Cricket Club. From a short, ambling run-up, Dale delivered medium-paced outswingers with nagging accuracy. He therefore become known more as an economical bowler in one-day cricket, although he was selected for two Tests throughout his career and was very successful for Queensland in the first-class arena. 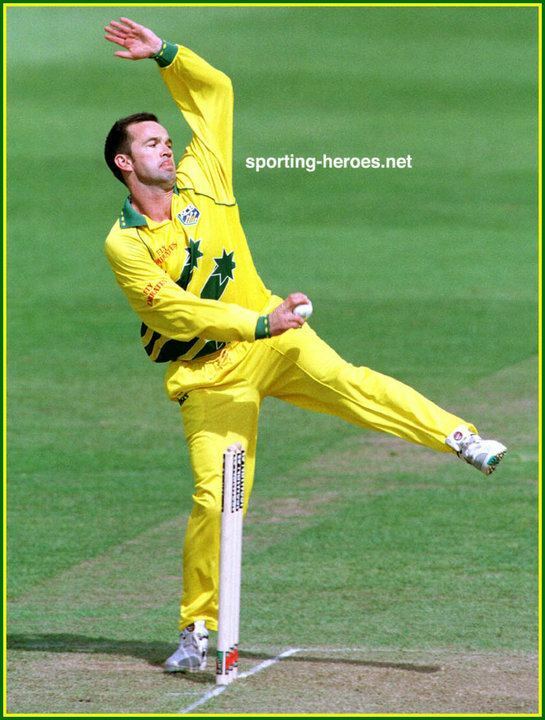 He is best remembered however for taking one of the greatest catches ever seen in the game of cricket whilst playing for Queensland in the summer of 1997/98. He played grade cricket for the Wynnum-Manly Cricket Club in Brisbane, and premier cricket for Northcote, Heidelberg Cricket Club, North Melbourne and Melbourne in Melbourne, over a long career which spanned twenty-six years from 1985/86 to 2010/11.